The March 6th meeting will be held at the Polk EOC instead of the normal meeting location. There we, along with several other clubs, will receive SKYWARN training. Training will start promptly at 6:30 PM. Be sure to arrive early. Edward Frank Falcon, Jr., 70 years old of Zephyrhills, FL passed away on Feb. 8, 2017 after a long battle with cancer. He was born in Tampa, FL to Edward and Annie Falcon. He was predeceased by his parents, grand-daughter: Michelle Booker, and daughter-in-law: Jenny Booker. He is survived by his wife: Janice Falcon; children: Jane Booker-Scrivens (Larry), David Booker, Jr. (Shirley), Mike Booker (Bonnie), Kenny Booker; 7 grandchildren; 3 great-grandchildren; and several cousins. There will be no service per his request. A memorial service may take place at a later date to be determined. In lieu of flowers, donations may be made to Moffitt Cancer Center. Arrangements were made by Hodges Family Funeral Home. 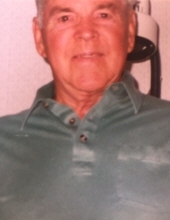 The Reams family announces the celebration of the completed life of Calvin Edward Reams who was born on September 11th 1924 and passed away on February 10th 2017 He is now with his late wife Idalee Brouillette to whom he was married for 51 years. They had two children Calvin Edward Jr. and Mary Jeanne plus three grand children and one great grand child. He was a WWII Veteran and fought at the Battle of the Bulge. After the war he worked for General Telephone first as line man and later in management. He was a life long Mason and a ham Radio operator. To send flowers or a remembrance gift to the family of Calvin Edward Reames, please visit our Tribute Store. On February 8th, 2017 Ed Falcon KI4EXO passed away. He is survived by his wife Janice KM4IEY. On February 10th, 2017 Ed Reames K9RWP became a silent key. He is survived by his son, Ed Reames Jr. N3PGW. The location for the March 6th meeting is the Polk EOC. The meeting will start at 6:30. LARC along with several other clubs will receive SKYWARN training at this time. 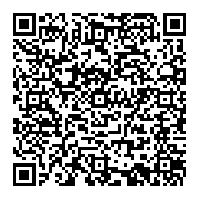 Click here for directions to the EOC. 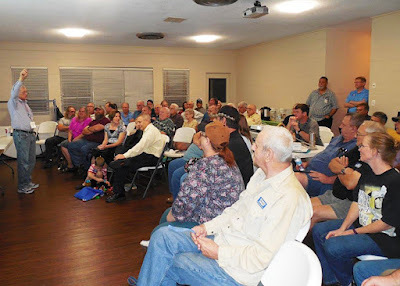 There was a record turnout for the February monthly meeting. Over sixty were present, pushing the limits of our current location. 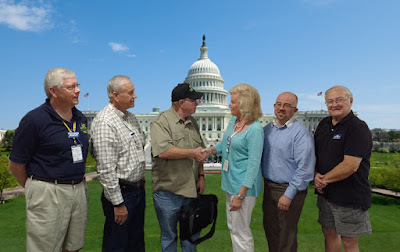 Patrick gave an overview of finances, then Bill presented this j-pole build story. All 19 units for sale were sold. Finally, Matthew presented a program on Parks On The Air. Before the meeting, Marcus Harmon and Kenneth Kozla successfully advanced. Marcus KD2GTW is now extra, and Kenneth KM4UYX is now General. Left to right, Richard, Ron, Marcus KD2GTW, Peggy our Testing Coordinator, Kenneth KM4UYX, and Al .